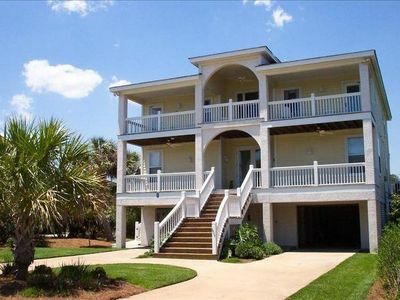 You won’t go wrong staying in this lovely home with ocean views. It is right in the center of everything yet very peaceful and private. 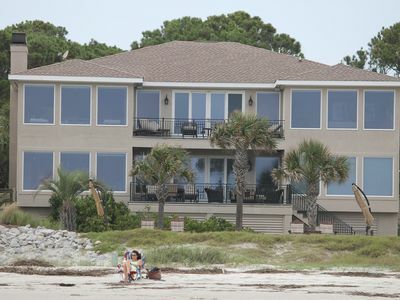 Just 200 feet from the large beach even at high tide. 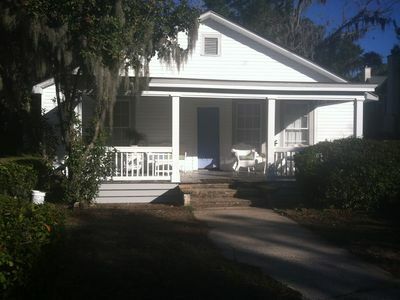 You can play all day in the sun and come home and relax on your own screened porch. 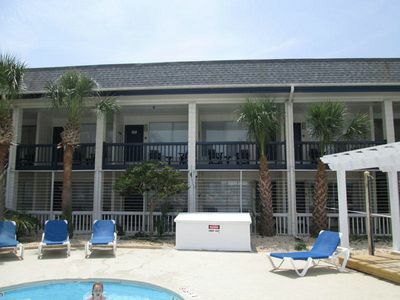 After that you can take a dip in the pool at the Beach Club which is just 2 blocks from the house. 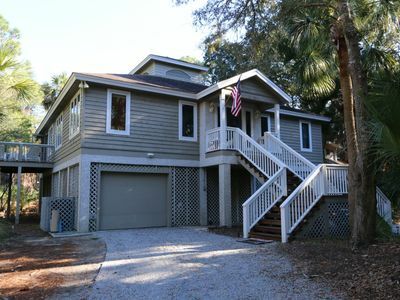 There are 4 bedrooms, 3 downstairs and a loft upstairs. 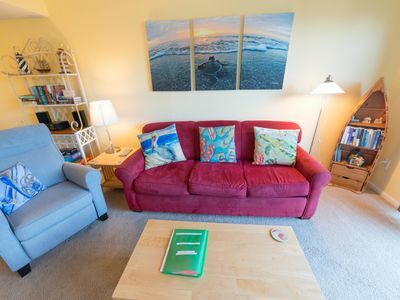 Partial views of the ocean along with a tropical paradise of 45 trees. 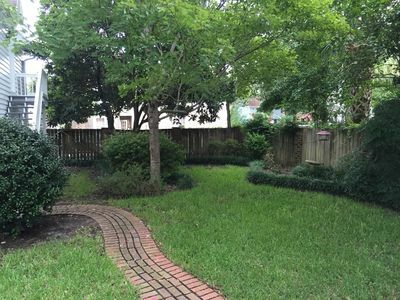 A tranquil environment includes a double large lot. 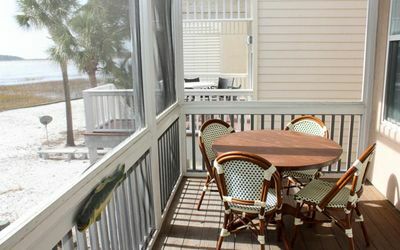 Conveniently located within walking distance of the Island Beach Club Pools, Dining and Tennis Courts. A walking/bike path is across the street. The close beach area is not crowded. 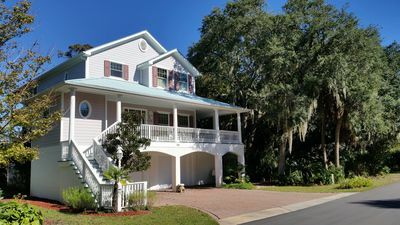 This house has many features. 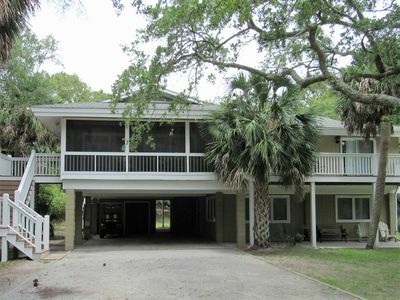 The large outside deck overlooks the lot with many trees and views of the ocean. 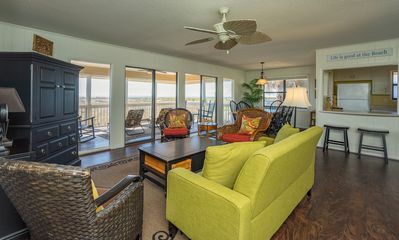 The screened in porch with a ceiling fan is great for conversations, dining, games or relaxing. Outside shower with hot/cold water is convenient when coming back from the beach. 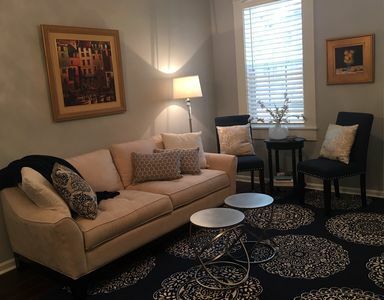 On the main floor is the large living room with sofas and chairs, a fireplace, 55 inch Smart HDTV, Apple TV, DVD, Bluetooth Stereo that is great for relaxing or entertaining. 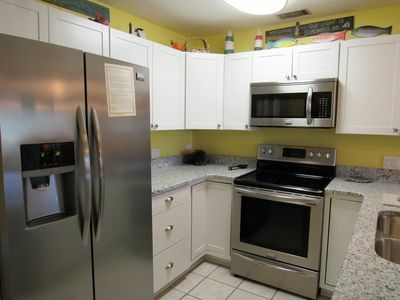 The kitchen has a large dining area with nice views of the ocean. 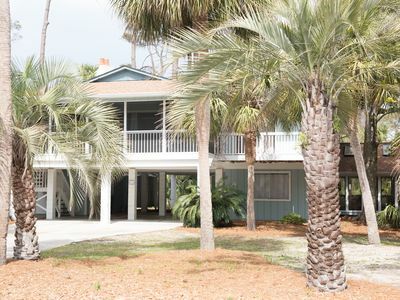 The master bedroom is large with a king bed, 43 inch smart HDTV on wall and private bathroom with walk in shower. The next bedroom has a king bed with a 26 inch HDTV. 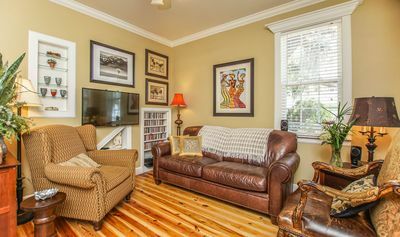 The third main floor bedroom has 2 twins with a 43 inch smart HDTV on the wall. A full bathroom in the hallway. 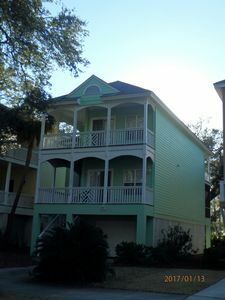 Upstairs is a loft with 2 queens, 1 twin, couch, walk-in closet, 46 inch HDTV and full bathroom. Our house has a no smoking, no pet permitted policy. 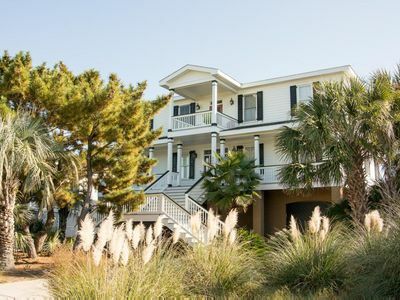 There is plenty to do on Fripp Island. The house has broadband and wifi. 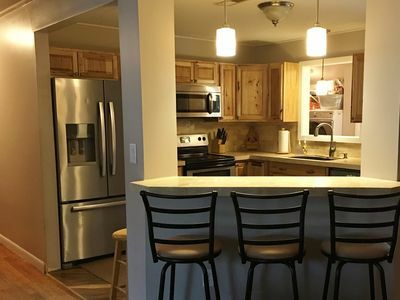 It is all here for you! Come and join us... You may never want to leave! 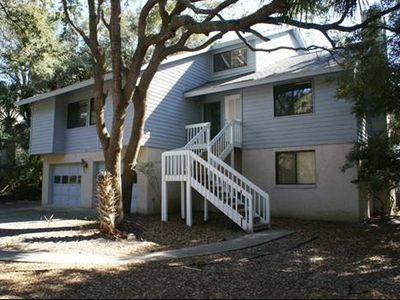 Thank you for considering renting our home at 366 Tarpon Blvd, 2nd house from beach. 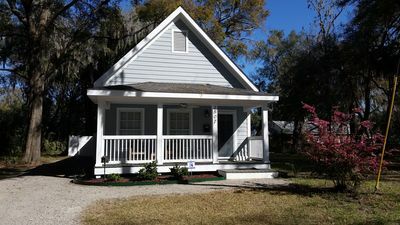 Adorable Bungalow in the Heart of the Historic District! 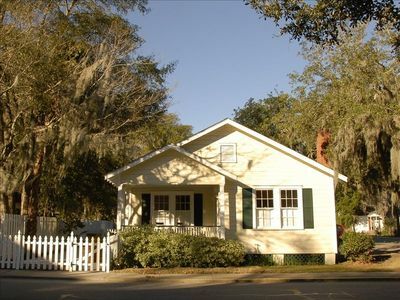 The Beaufort Cottage, Beaufort SC, Walk to Downtown Shops & Restaurants!